Spring officially begins on March 21. It’s been a rainy and cold winter and we are ready for a sunny and warm spring. 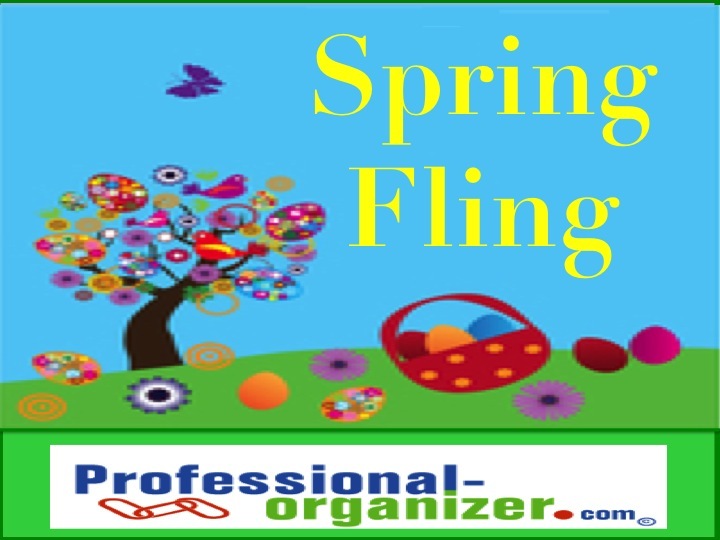 Doing the Spring Fling helps us by eliminating the unnecessary, deciding on what is most important and keeping only the best. It’s time to get started on decluttering your home and office. Get motivated and focused first by having the end in sight. Find ideas on www.houzz.com. Tap into your inner organizer by defining 3 key words that will describe your newly organized spot, such as nurturing, simplified, inviting, or friendly. Key words for your work space might be efficient, effective or productive. Know what you want your organized space to be and to feel like. Gather your team to get going. At home your team can be a supportive friend, your children or your spouse. At the office it can be your colleagues, assistant or boss. It is more fun and energizing to work with partners. Set specific dates and deadlines for your organizing. Break the work into smaller units to work effectively and get this job done. Working alongside others make organizing easier. • Would you wear it today if it fit? • You purchased a new one and it’s time to “fling” the old one. • Your kids have outgrown it or don’t play with it. • Post it notes about tasks that have been completed or phone numbers you don’t need. • Rough drafts, emails you printed or interim prints of reports. • Work for 15 minutes on your desk top or choose 15 items to “fling”. Add in great routines to keep your space maintained. Have a nightly family reset time or take just 5 minutes each evening to get items back to where they are stored. Take 5 minutes at the end of the day to recycle papers or notes. Plan a general reorganization each spring and fall, just to keep your home and office efficient, orderly and attractive. Spring is just around the corner and you will be ready to enjoy your decluttered home or work space. Get started now with your Spring Fling. Spring into Spring Fling with my pinterest board. Need ideas for springing forward? Join my newsletter. There are certain times each year when our best organizing efforts get out of control. It is when there are just too many things to do at the same time. It is when we are about to host a party, but there is clutter on the counter. It is holiday time and instead of time to get your house in order, you need to purchase holiday gifts. It is when we need to drive someone in our car, but the paper is everywhere in there and we need to stash it. There are times the wheels come off the wagon! Is this preventable? Staying organized can take many different actions. Keeping your home, car or office in order and preventing the wheels coming off the wagon can happen! Spend 15 minutes together as a family every day getting things back to where they belong in your home or office. Take 5 minutes every day to go through the mail. Write preparation time in your calendar. Plan 2 weeks out from a party, with one week just to prepare your home and one week to prepare for the party. Start decluttering months before a move. Just do it! If it takes under 3 minutes to get any job done, any stuff put away, or any note to write, just do it. Take a few minutes for rest and get in bed early. Say no to just one extra activity, commitment or work project. Get help and delegate. If you can’t do it all, get a great helper to do what they can. Next time the wheels come off the wagon for you, look back and learn where it all started. 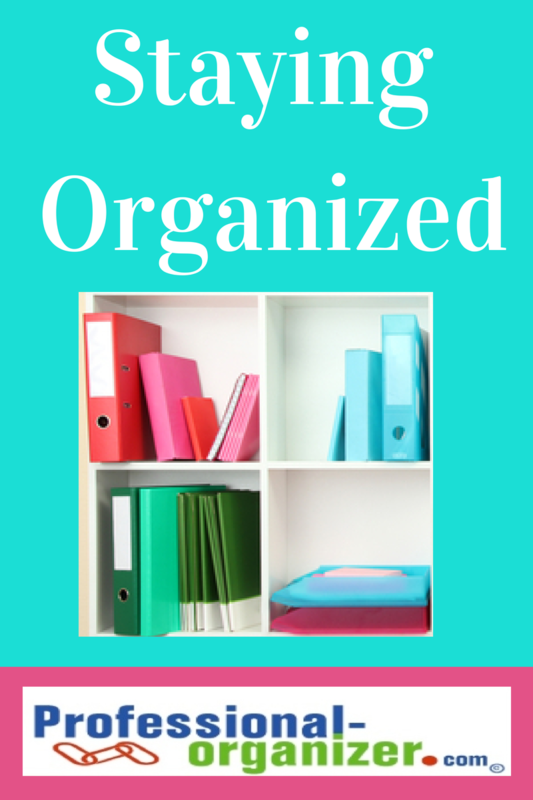 Need a boost to stay organized? Join my newsletter for a monthly dose of productivity. Join me at Kingwood Public Library for Organizing Your Garage on April 19 at 3:30 pm. Starting with your organizing team, learn ways to declutter and organizing your car, gardening, athletic and more stuff in your garage. You will also learn what NOT to keep in there! Practical Estate Planning: Organize Your Documents on April 4th at The Veranda, Kingwood. Help your family — and make your executor’s job easier — by getting your paperwork in order. Estate planning isn’t just about legal issues — there are practical ones as well. Join Tamara Paul and myself to learn more about this at Lunch and Learn at The Veranda, Kingwood. Fee of $20 includes materials, lunch, tax and tip. 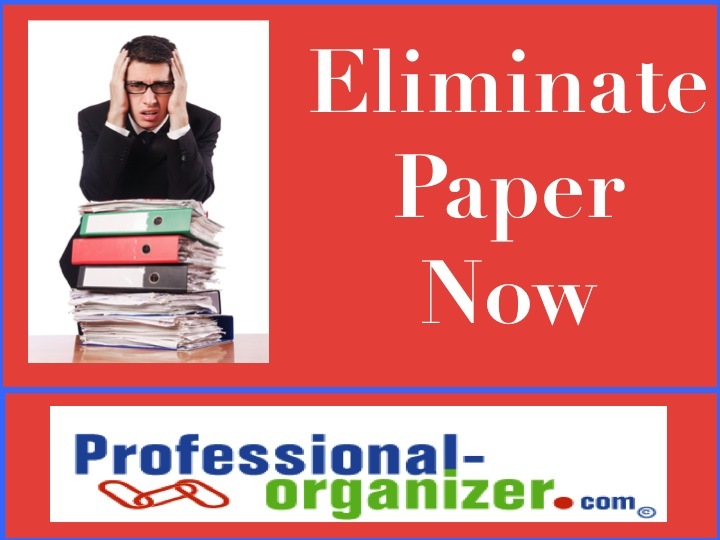 https://professional-organizer.com/WordPress/wp-content/uploads/2016/07/logo.png 0 0 Ellen https://professional-organizer.com/WordPress/wp-content/uploads/2016/07/logo.png Ellen2012-03-10 08:23:422012-03-10 08:23:42Practical Estate Planning: Organize Your Documents on April 4th at The Veranda, Kingwood. The first step in less filing is getting less paper! Here are some ways to make it happen. 1. Eliminate catalogs with www.catalogchoice.org. 2. Get your Explanation of Benefits (EOBs) online through your medical insurance company. Create a log in and password, then set up the email account to notify you. 3. Use E-vites instead of invites. View paperlesspost.com for lovely invitations by email. 4. If you find articles to clip from the newspaper, find the article online instead. You can find it by the name of the author and the date of printing. Save these with a bookmark in your computer. 5. Stop clipping recipes and use allrecipes.com to find the ingredients and more. 6. Need a map? Use your GPS, google maps, or your smart phone navigation. 7. Add coupons to your email and smart phone through online sites. See how on http://shortcuts.com/. 8. Want to scan in your papers? Try using the Fujitsu ScanSnap! What ways have you eliminated paper at your home or office? https://professional-organizer.com/WordPress/wp-content/uploads/2016/07/logo.png 0 0 Ellen https://professional-organizer.com/WordPress/wp-content/uploads/2016/07/logo.png Ellen2012-03-09 10:35:502013-07-15 07:12:49Eliminate paper now!